Basic electric car economics says the fuel cost advantage is starting a tidal wave that will swamp the big automakers, unless they do as Shai Agassi tells them to do. Better Place former CEO and founder Shai Agassi posted today part 2 of his series of LinkedIn posts telling Detroit what they should learn from Tesla. Last time he had four take-aways: An electric car is an object of desire; An electric car is a modern appliance; An electric car is Moore’s Law on wheels; and An electric car drives — and sells — differently. This time he talks about why Detroit can't replicate the Tesla story, and an interpretation of the economics of electric car ownership Agassi says makes them extremely compelling. Why can't Detroit, rather the Big Automakers, replicate the Tesla story? Can't they tear down a Tesla Model S, replicate its production on a factory line, and get on with the business of putting Tesla out of business? Agassi says this is possible, and there's no doubt any of the big Automakers could make an "insanely great electric car." But they haven't followed the correct approach to designing and marketing electric cars. The big automakers have made some competently great electric cars. The Ford Focus Electric is an excellent electric car, as is the Fiat 500e, as is the Honda Fit EV, and others, nobody would describe any as "insanely great." Given the rave reviews and awards showered upon the Tesla Model S, it certainly deserves to be called "insanely great". The difference is in how the big automakers have approached electric car design, versus how Tesla approached it. Most of the electric cars from big automakers are what Agassi describes as an "experimental vehicle." As nice as the Ford Focus Electric is, it's just a Ford Focus with an electric drive train wedged in. In that car specifically, the drive train components are suboptimally integrated into the vehicle, at the sacrifice of 9 cubic feet of cargo capacity. What did Tesla do? They started from the ground up, with the first step being to attach wheels to the battery pack, and only then designing the car body. 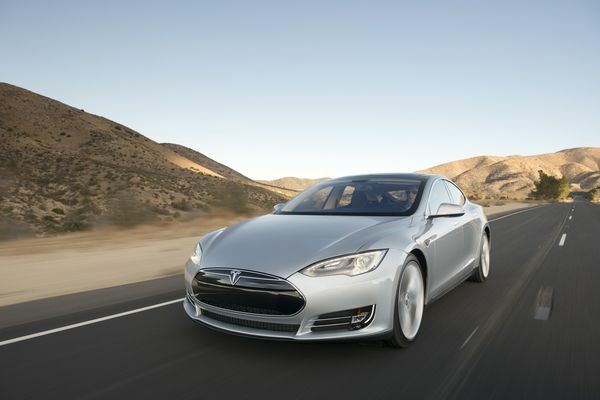 Tesla's goal wasn't to sell just enough cars to satisfy ZEV requirements in California. Instead their goal was to sell in high enough volumes to make the company self-supporting and to build an insanely great car. The result was so good that those of us who can't afford the Model S are eagerly awaiting the high volume affordable electric car Tesla is promising. The second point Agassi makes is something that not even Tesla is doing, though Tesla could conceivably switch to the model, however Renault is taking the approach Agassi recommends. Namely, tell the designers "The Battery Is Not Part Of The Car's Costs," and to sell electric cars in a way that the battery pack is not included in the purchase price. His reasoning is very much in line with the reasoning which led Agassi to launch Better Place. First, the inherent cost of operating an electric car is much lower than gasoline cars, because the fuel cost is so much lower. Agassi calculates electric car fuel cost is the equivalent to $1-$1.60 per gallon, and says it's obvious gasoline prices aren't going to fall back to that level for a long time to come, if ever. As Agassi puts it "That math, more than any other argument, describes the tidal wave approaching the car industry." He claims that an electric car where the batteries aren't included in the purchase price can be made at a cost roughly at parity with an internal combustion car. The Renault ZOE is sold this way, at a price similar to that of the Renault Clio. Instead of selling the ZOE with battery included, the battery is leased. This not only protects the car buyer, it gives the automaker an ongoing revenue stream, and also opens the option to future battery pack upgrades when future technology development make that possible.